Yesterday in the E.H. McCormick Research Library I came across a little catalogue of an exhibition held at the Gallery exactly 40 years ago. 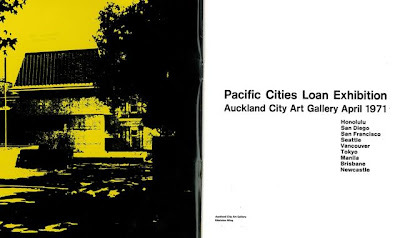 Called Pacific Cities, it was a remarkable show of artworks loaned from institutions in nine cities around the Pacific: Honolulu Academy of Arts, Fine Arts Gallery of San Diego, M.H. 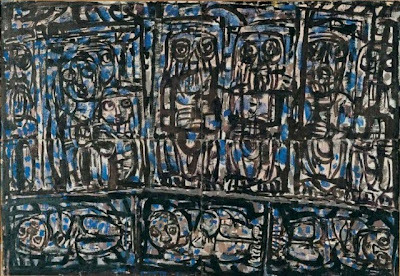 de Young Memorial Museum in San Francisco, Henry Gallery in Seattle, The Vancouver Art Gallery, The National Museum of Modern Art in Tokyo, The National Museum of the Philippines in Manila, Queensland Art Gallery and the Newcastle Art Gallery. This international spread was put on to celebrate the opening of the Gallery’s new Edmiston Wing. Officially opened to the public by Governor General Sir Arthur Porrit on the 16th April 1971, this addition to the building had been a long time coming. 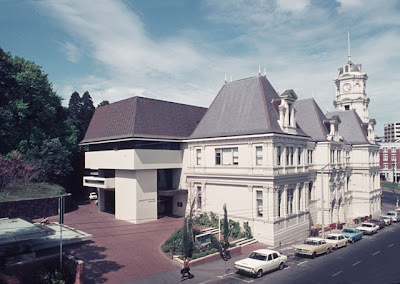 Funded from a generous bequest made by prominent Auckland citizen Philip Edmiston, the building project had been the subject of planning and discussion since the details of Edmiston’s will were announced in 1946. 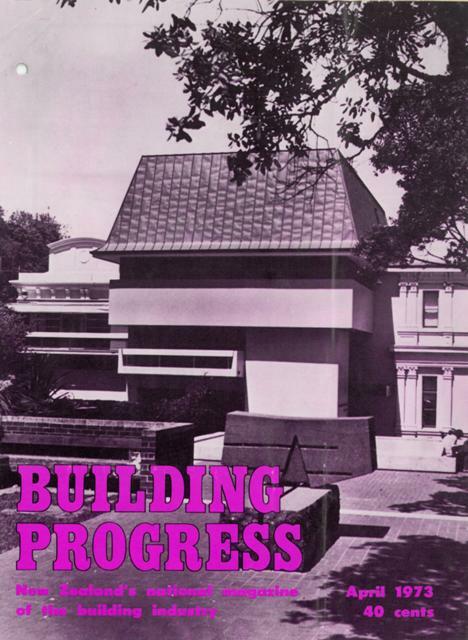 Decision-making was complicated by calls to erect an entirely new building for the Gallery, but in 1953 the City Council resolved that the Gallery should remain on its historical site. The Edmiston development was designed in the office of the City architect, Mr E.M. Wainscott and the project architect was Mr B.C. Robinson. The new wing took three years to build, with staff offices relocated to the Town Hall from 1968. The design of the wing was a ‘modernisation’ of the existing Victorian architecture of the building, which mimicked the rhythms of the old façade in a stripped back, modern style. The newly austere galleries of the Edmiston Wing provided the perfect stage for the artworks of the Pacific Cities show. This exhibition self-consciously located Auckland in an international network of galleries and museums in a way which prefigured current trends in contemporary art exhibitions. 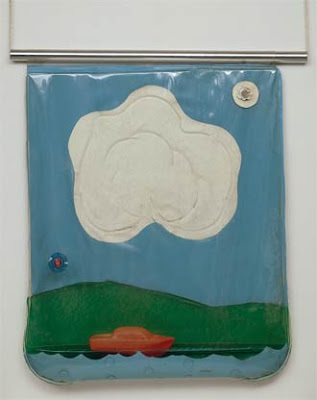 The selection of works was deliberately contemporary and international, with the vast majority of artworks dated within 10 years of the exhibition’s opening in 1971, and several works having been made as recently as 1970. Artists were selected because they were seen to represent geographic diversity. 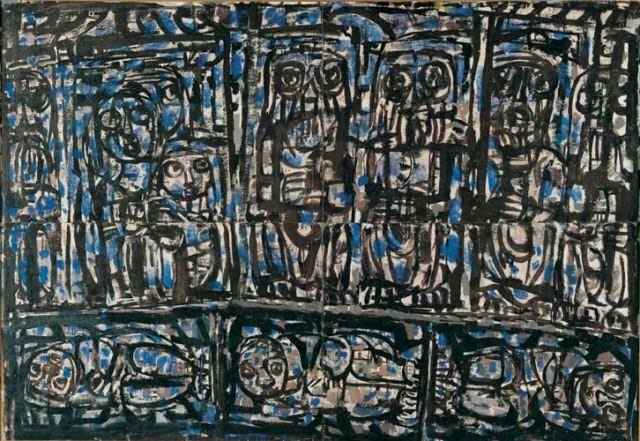 The Queensland Art Gallery lent Ian Fairweather's Epiphany, saying 'His art has its roots in that of Japan, China, Korea, the Philippines, Bali and India and shows particularly the influences of Chinese calligraphic painting and that of the Indian cave paintings of Ajanta.' Other galleries lent works that they felt best demonstrated the cutting-edge work of the young artists of their region, such as the Vancouver Art Gallery with works like Iain Baxter's Bagged Landscape, which is made from vinyl and contains water.